← Beauty’s Sister out in paperback today! I’m pretty sure this isn’t the only time Superman’s found Clark Kent’s books getting remaindered. 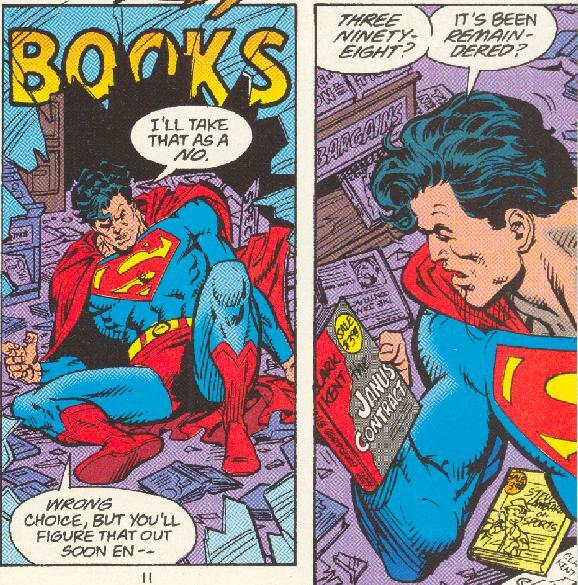 Way back in the 1980s (I think) there was a throwaway scene where Clark wanders into a bookshop and finds his novel on the remainder table. Unfortunately I can’t remember when or where that was (although it’s possible it was in some kind of special edition or graphic novel, perhaps about Luthor) but if anybody else can, please let me know.